This is “Australia and New Zealand”, chapter 12 from the book Regional Geography of the World: Globalization, People, and Places (v. 1.0). For details on it (including licensing), click here. Australia and New Zealand have flora and fauna that are found nowhere else on Earth. 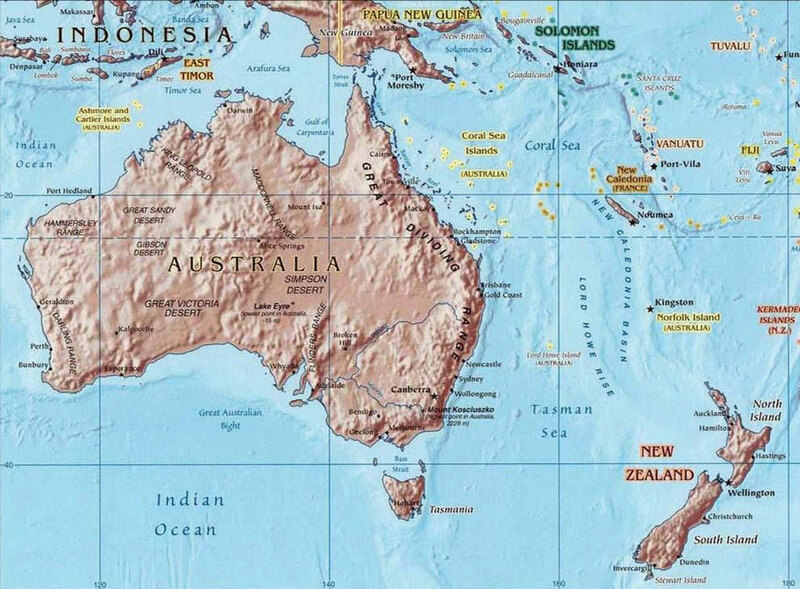 Australia is distinctive because it is an island, a country, and a continent—the smallest of the world’s continents. No other land mass can concomitantly make those three claims. Australia consists of a large mainland and the island of Tasmania to the south. The main physical area of New Zealand, on the other hand, consists of two main islands separated from Australia’s southeastern region by the Tasman Sea. Australia is surrounded by various seas. The Indian Ocean surrounds its western and southern coasts. Indonesia and Papua New Guinea lie to the north, separated by the Timor Sea and the Arafura Sea. The Gulf of Carpentaria distinguishes Cape York, which extends north along Australia’s eastern coast almost to Papua New Guinea. The Great Barrier Reef runs for more than 1,600 miles off the continent’s northeastern shores. The Coral Sea separates the Great Barrier Reef from the South Pacific. The southern side of Australia is the Great Australian Bight and the island of Tasmania. A bight is a large, wide bay. To the south of Australia and New Zealand is Antarctica. The two countries have distinct physical geographies. Australia is relatively flat with low elevation highlands and an extensive dry interior, while New Zealand has high mountains and receives adequate rainfall. The Tropic of Capricorn runs through the middle of Australia. The Tasman Sea separates Australia from New Zealand. 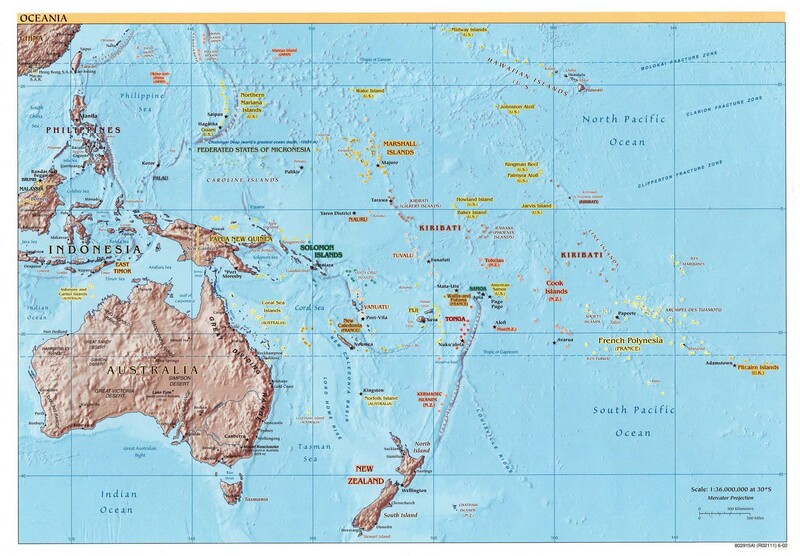 Source: Map courtesy of University of Texas Libraries, http://www.lib.utexas.edu/maps/australia/oceania_ref02.jpg.